No second chance for a First Impression! Customers expect to be impressed when opening their Bank accounts – after all, the relationship is for a long period, especially involving their finances. Customer Lifecycle Management is an extremely critical part of running a financial institution successfully and this journey begins with a customer getting on boarded into a new business eco-system i.e. applying for a product and going through the process involved. The time spent by customers on face to face interactions with Bankers has considerably reduced and prospective customers now want to complete the on-boarding process without going to a branch. Customer experience is expected to begin with a complete digital onboarding experience and banks need to establish excellence at the outset. After hesitating initially, Banks have just started to move to on-boarding applications that handle relationship and account creation with superior experience. Customers expect convenience and with millennials ruling the roost, Mobile Banking is the expectation starting from preliminary interactions. Banks can set the stage for future favourable customer interactions, by engaging in an initial interaction that is simple, pleasant and productive. Banks not only satisfy account holders’ wants and needs, by offering products and services best matched to the customer’s needs, but reduce attrition while improving sales and marketing campaign effectiveness. Banker Efficiency: Digital customer on-boarding also frees up Banker’s time for customer engagement. They can focus on selling more complex and high-value products and services. Onboarding experience has rigorous implications on Banks. It is time Banks started working on their “First impression”, as there is no second chance for a first impression!! 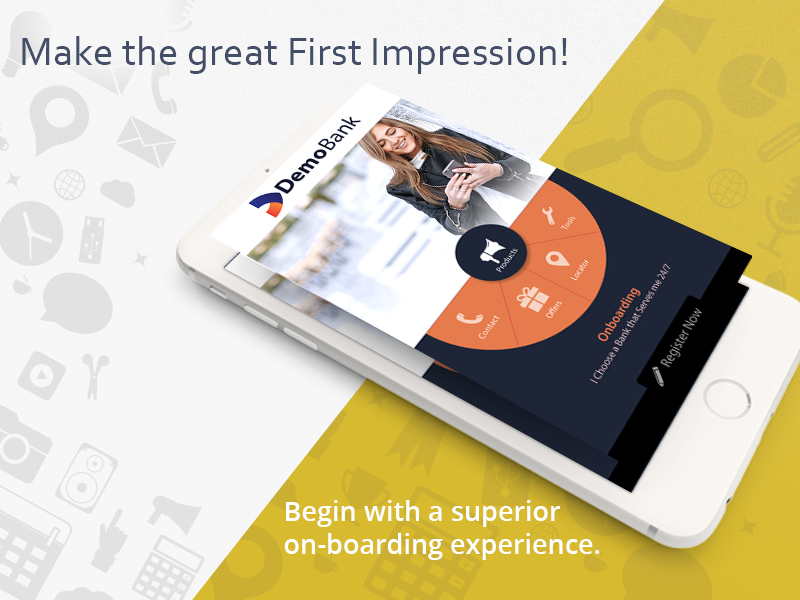 Explore how to craft the best first impression using Clayfin’s Digital Onboarding solution – Know more.